This house in London’s West End had lain empty for many years and I had twice been consulted about it by earlier potential occupants. I have been advising on the appropriate use of paint and colour for a late eighteenth century house of this importance. Extensive use of gilding has also been made. 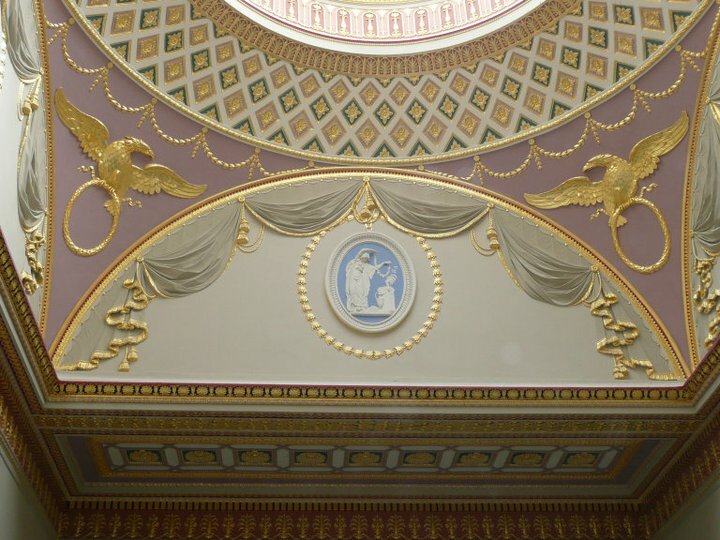 I was able to draw on my work at nearby Spencer House to make suggestions to the client and at the same time was able to help mediate between the client and the local planning authorities.